Snatching toys, spoiling games, throwing chairs – Zara just can’t take the new boy’s behaviour any more! But then Miss Tinker comes into Zara’s class, and shows Zara what life is really like for Bodie Finch. Armed with this understanding, little Zara reaches out the hand of friendship – and the result surprises everyone. This picture book unlocks the mysteries of autism in child-friendly language and comes with a digital handbook to help teachers and parents work Miss Tinker’s magic in their own classrooms and homes. Zara is an unhappy little girl. There’s a new boy in her class, and he’s turned her peaceful world upside down. He throws things, he chases after her, he snatches her toys – and she can’t understand a word he says. 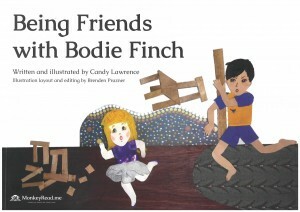 When Bodie Finch throws a chair at her, it’s the last straw. Zara doesn’t want to go to school any more. But then Miss Tinker comes into Zara’s class, and everything changes. Miss Tinker helps Zara and her classmates to understand that underneath the scary behaviour, there’s a sad but capable little boy needing special help and patience. Zara’s kind heart is touched, and she reaches out the hand of friendship to Bodie. To her surprise, Bodie responds in his own unique way. This enchanting picture book, illustrated with vibrant full-colour collages, is based on the real-life classroom experiences of the author, Early Childhood Educator Candy Lawrence. It’s more than just a touching story – it’s a teaching resource for parents and teachers, to help them open conversations with their children about the challenges of inclusion of children with autism in mainstream classrooms. The techniques used by ‘Miss Tinker’ are genuine, effective ways to respond to the child with autism, and the book comes with a digital teachers’ and parents’ handbook (co-authored with inclusion specialist Rebecca Thompson) to help caring adults to get the most out of this educational aid. 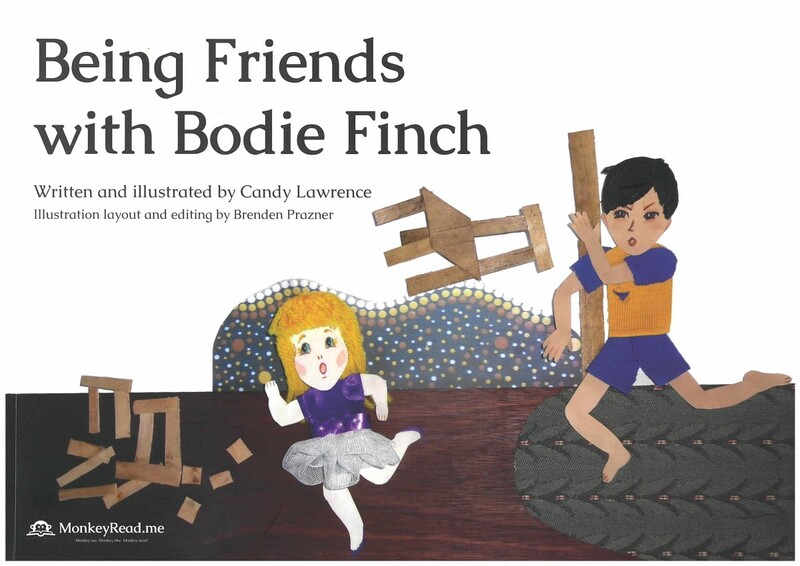 ‘Being Friends with Bodie Finch’ is both a comforting, helpful story for children and a valuable aid to understanding for adults. Suitable for ages 4-8, but younger and older children may also identify with Zara’s difficulties.